It is a truth universally acknowledged, that a marketer in possession of a good fortune must be in want of new advertising vehicles. And it’s clear who’s in the driver’s seat nowadays. Do ads belong in the ubiquitous news ticker that scrolls along during so many TV-news broadcasts? CNN is willing to find out. 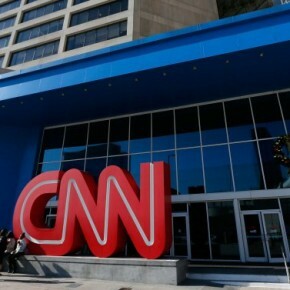 The Time Warner-owned cable-news outlet is open to the idea of running an advertiser’s logo in its bottom-of-the-screen zipper, so long as the appearance is tailored appropriately, said Katrina Cukaj, executive vice president of CNN ad sales. “If it’s financial information, if it’s actual data from the markets, I could potentially put a financial advertiser on there,” she said in a recent interview. As you splendid readers know, however, the corn is off the cob. 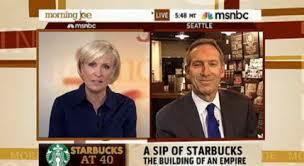 Just ask “Morning Joe” on MSNBC (Mostly Starbucks Network Broadcasting Company), which has gone so far as to have co-host Mika Brzeznski interviewing the show’s Caffeine Daddy, Howard Schultz. And so CNN has decided to get on board the gravy train too. The network’s newly aggressive ad stance is a bet on the future of how TV-news will be experienced. To be sure, CNN is still a TV network. But a rising generation is more likely to sample its programming with mobile tablets and smartphones. In 2013, according to a survey by Pew Research Center’s annual “State of the Media” report, 82% of Americans said they got news on a desktop or laptop and 54% said they got news on a mobile device. The cable-news outlet may have more leeway on the screens of these devices to display ads that are not seen as encroaching upon the content. On CNN Go, the network’s mobile app, users can pick what reports they want to see, and an advertiser can put forth the notion that it helps bring the news to the consumer. As opposed to the traditional notion that the news brings the consumer to the advertiser.